Meet the new GoRVing.ca! 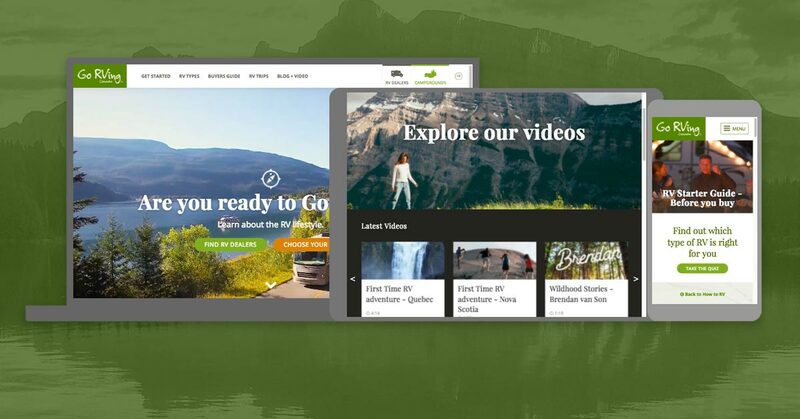 We spent a great deal of time reviewing how our website visitors interact with the site, plus feedback from a small panel of RVers across Canada. Over the early months of 2017, our team was hard at work designing and developing the new website to appeal to this same audience. With new advancements in photo tech, we wanted to take advantage of the wonders of 360 photos by adding these for all RV types. You can browse all of our new 360 degree photos in the RV Types section of the website. It seems websites go out of date the moment they’re published these days! Fortunately, we took the time to incorporate a few timeless design elements like lots of open space, clear links to other sections, and a few fun additions like video. One of the comments we hear often is that Go RVing Canada has so much great info on buying an RV. From our Affordability Guide and information on RV Insurance, to RV Show Buying Tips and more, it’s all here in a single place for your browsing pleasure. As a destination for everything RVing, Go RVing Canada offers plenty of advice for new and experienced RVers. Discovering how to RV has never been easier in our Learn to RV section, which covers RVing topics such as Starter Guides, Towing, RVing with Kids and more. No where will you find more stories and tips about RVing than in our blog and video department. Here you’ll discover Recipes, RV Adventures across Canada and our new Wildhood Stories. Grab a favourite hot beverage and enjoy! 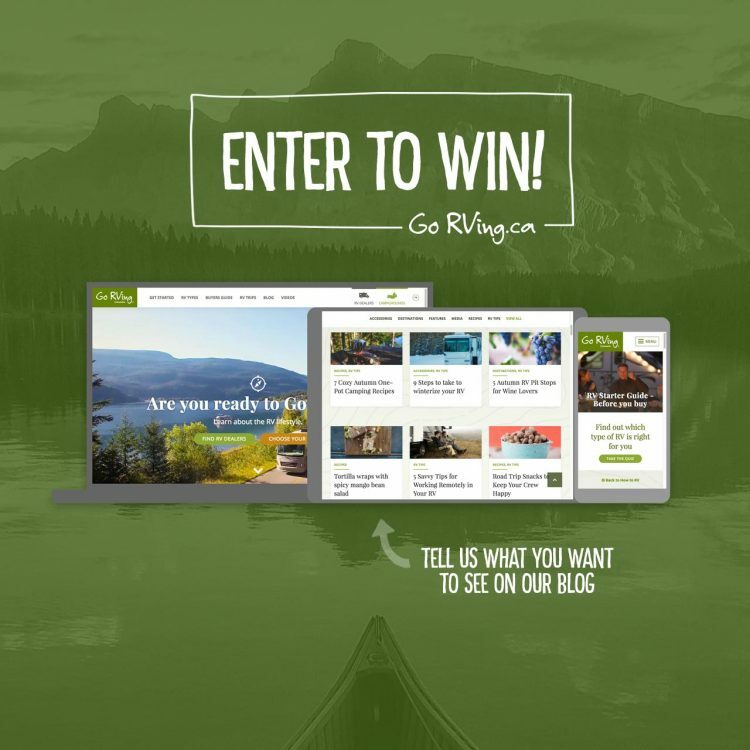 Do you have ideas for additional RVing information, tips and resources that are not found on GoRVing.ca? We’d love to hear about them! Contact us with your ideas. We’re also always looking for contributors so if you have a story, pitch it our way. We want to know what kinds of information YOU would like to see on our blog and we’re willing to give away a big prize in exchange for your suggestions. Contest runs October 18, 2017 until October 31, 2017. Click the link below for contest details and how to enter.